Criminal incidents happen everywhere, and Weston is no exception, and if you happen to be injured in one of them, it is wise to get legal help before you take any further steps. It is crucial to do everything right after the accident to keep or maximize your chances of damages recovery. Our Weston crime victim compensation lawyers have been helping injured victims recover since 1963. Call us at (305) 285-1115 for free consultations. You won’t pay any fees unless we recover for you. 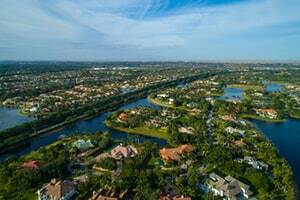 Weston, Florida, is a great place to live. In 2010, the Money magazine ranked it on 19th place of America’s “Biggest Earners” list, with median family income of around $120,000. According to Businessweek, Weston is one of the most affordable suburbs in the whole USA. It also has one of the highest job growth rates in the country. Weston is the westernmost part of Broward County and was developed by the same company that developed the Walt Disney World. As we mentioned earlier, these are just the most common crime accidents leading to personal injuries. But don’t hesitate to call us even if you’ve been injured in a different kind of crime. It is possible that you’re eligible for compensation. That is why it is important for you to find and speak with the best Weston personal injury lawyer about your losses and damages. Florida laws provide several different options for people injured due to criminal accidents in Weston. Aside of those injured at the scene, murder survivors may be entitled to damages recovery. Wrongful death laws are quite specific in terms of who can sue and what damages are collectable. It is always best to speak with an attorney about the specifics of your loss. Crime victims in Weston can claim damages recovery from the offender himself. Once his guilt is proven in court and he is convicted, he can be liable for paying you for the damages done to you. But most criminal offenders fail to pay anything to the victims of their crime. In such cases, you’ll want to rely on the other two options. If the criminal accident or incident has taken place on premises under control of a third party, you’ll want to investigate if the owner or management of that premises is liable for the accident. These third parties could be malls, restaurants, retail stores, gas stations, and other places that invite guests onto their premises. They owe them a duty of reasonable care, which means they must reasonably undertake whatever they can to prevent all the foreseeable crimes on their premises. If they breach this duty, most often due to negligent security, they can be held responsible to pay for the damages. Laws provide you with possibilities, but you’re the one who must do the work if you want to recover damages. Our Weston crime victim attorneys at the Wolfson Law Firm can put their knowledge and experience to good use to help you get the justice and compensation that you deserve. Call us at (305) 285-1115 for your free consultation. You pay no fees until we recover for you.